The Museum FLTS. Phase 2 is a new condominium development currently in pre-construction at 158 Sterling Road in Toronto, Ontario with 10 storeys and 150 residential suites designed by architectsAlliance. The Museum FLTS. is part of the Perth Avenue - Sterling Road Revitalization Plan located in the Junction Triangle by Perth Avenue and Sterling Road in Toronto that will promote “a vibrant mixed-use community” and is “a project which will bring new residents, new businesses, new jobs and new services” to the community. Castlepoint Numa is leading this project and in the last 6 years, they have been working to revitalize and transform this 8 acre site into a mixed-use community. Once complete, there will be “approximately 565,000 square feet of new employment opportunities, including new office, retail, cultural, and commercial spaces and 540,000 square feet of new residential, supporting a range of different housing types and tenures, and over an acre of new parks and open spaces throughout the site”. The Lower JCT. 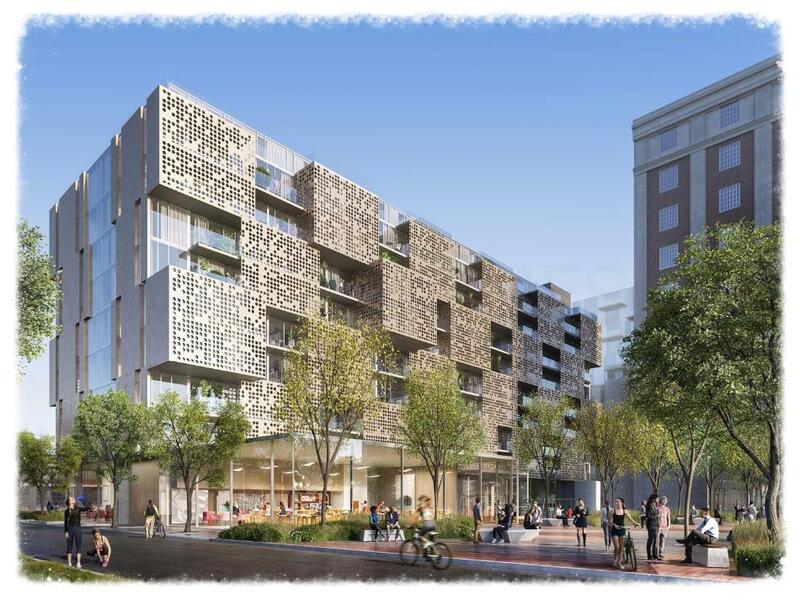 project will “encourage and embolden” the entrepreneurs and artists who “thrive in the historic buildings surrounding Sterling Road through innovative architecture and an emphasis on a community-oriented lifestyle”. 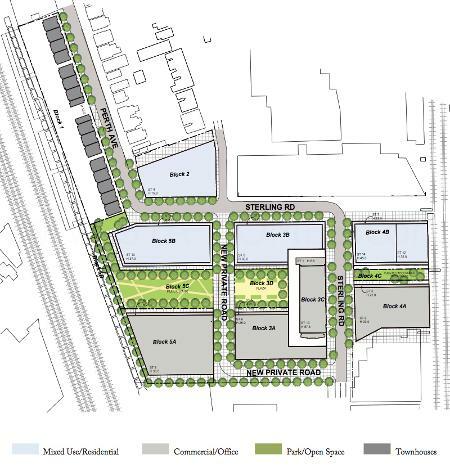 The revitalization plan for Perth Avenue – Sterling Road will promote opportunities for residents to work and live within walking distance to accessible public transportation such as the Bloor GO Station and the Dundas West and Lansdowne Subway Stations located nearby. architectsAlliance will be the award-winning architectural firm that will transform and restore the Tower Automotive building. They will preserve the historic detailing and it will therefore become the Auto BLDG. and The Museum of Contemporary Art. The Museum FLTS. are the second residential phase of the Lower JCT. and will be situated next to the Auto BLDG. which will have new office and commercial uses and will remain the tallest building in this project. The Museum FLTS. Condos will have 10 proposed storeys with 150 dwelling units designed by Peter Clewes who is an architect of architectsAlliance. It will have a “unique and modern artistic energy” and “designed to capture the essence of city living while providing all the necessities for active family lifestyles”. This mid-rise condominium tower is part of the Lower Junction Master-planned Community. The Museum Flats Phase 2 by Castlepoint Numa is located not too far from High Park which is about 161 hectares in size and is one third a natural park and the rest is a mixed recreational park with playgrounds, sporting facilities, gardens, a zoo and many more. 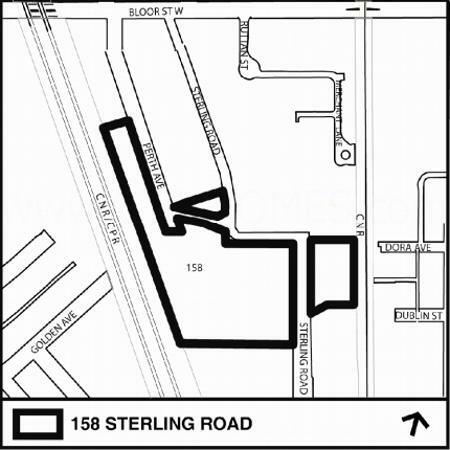 158 Sterling Road is located to the south of Bloor Street West and west of Landsdowne Avenue. The Dufferin Mall is a short drive away and schools nearby include West Toronto Collegiate Institute, École secondaire catholique Saint-Frère-André, Brock Public School, Brock Junior Public School, Saint Helen Separate School, Bishop Marrocco/Thomas Merton Catholic Secondary School and many more. The Exhibition Place, the BMO Field, the Molson Canadian Amphitheatre and the Medieval Times Dinner & Tournament are all located about 5 kilometres away from the Museum Flats Condos. Register with us today for more information on the Museum FLTS. by Castlepoint Numa! The Museum FLTS. Condos Floor Plans and Price List will be available soon. Please call or complete the registration form to get all the info and to register now for the Platinum VIP Preview Sales Event.